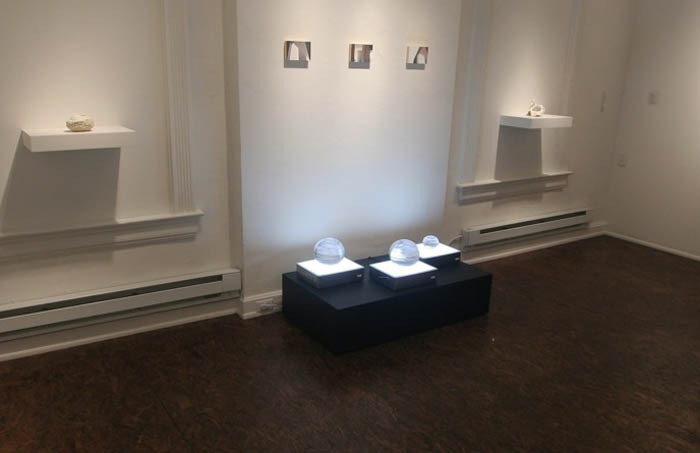 The project was made for a show at the Wattis Institute, San Francisco, in April 2011 and was later on display at Manifest Creative Research Gallery in Cincinnati, Ohio. 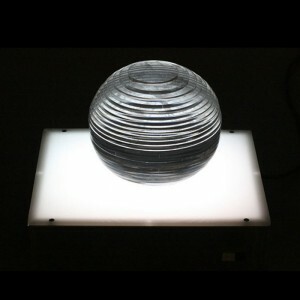 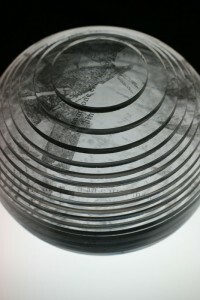 Material: three spheres built up of layers of circular acrylic sheets. 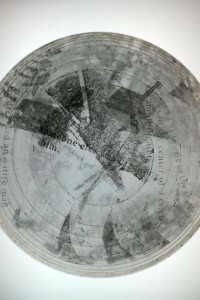 The individual layers are inscribed with text excerpts from the story, as well as related imagery. 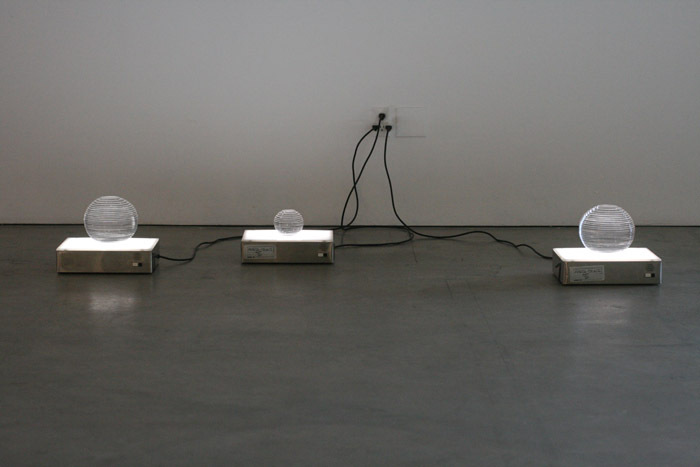 The spheres are displayed on light boxes.